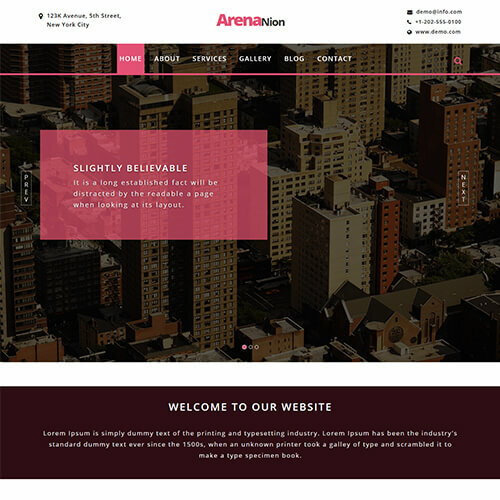 Arenanion is a multipurpose html5 real estate template for your online website. 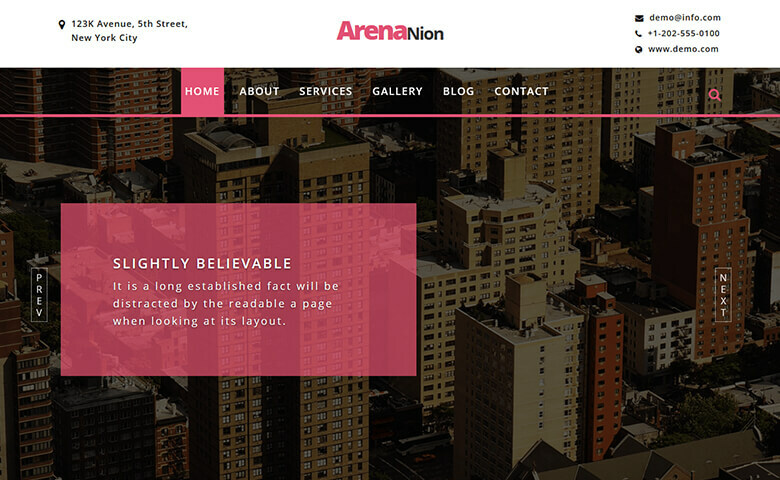 A fully featured template for your online real estate business that boosts your revenue and client base using the pre-loaded corporate web page, blog page, gallery page and much more. 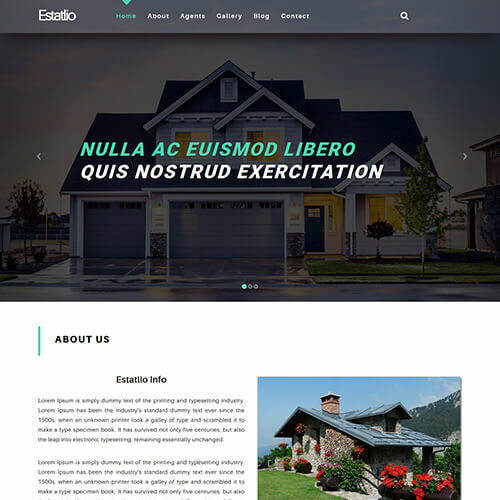 This property website template free download helps you to engage with your audience using stick-to-Top menu, beautifully crafted grids with images, hover effects, carousel sliding images and much more. Depending on your requirements you can use it for property listings, rental services, buying and selling of properties and other real estate services. 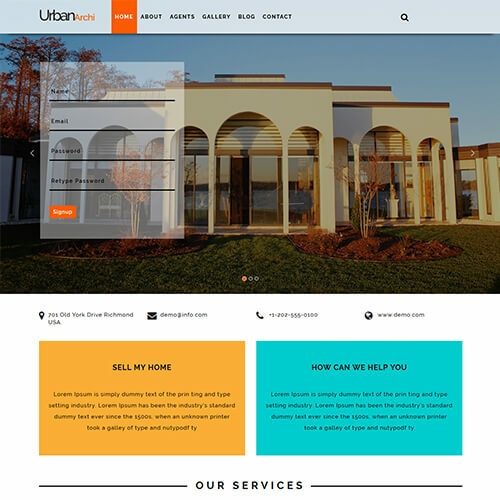 This creatively and professionally designed real estate web design templates has many custom HTML and CSS features that look perfect on any size of screen of mobile and tablet.